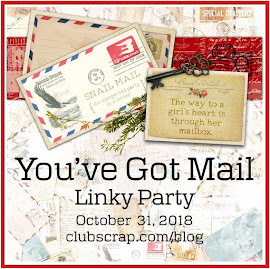 Welcome to the Club Scrap Big Top Blog Hop. go HERE to the Club Scrap Blog. This month I subscribed to the Club Scrap Digital Kit, (Look at how gorgeous it is). I also subscribed to the Art Nouveau Stamp, the Club Stamp Kit, Unmounted Borders and Backgrounds Stamp, Greeting Stamp and the Embellishment Pack. Since the digital kit comes at the first of the month I had fun making this layout. When I saw the "not my monkeys" quote I knew that my great nieces and nephew pictures would make a great page with this quote. I used Panstoria Artisan 4 Software and a Blueprint from Pixels2Pages to make this page. When my Club Stamp Kit I wanted to make a card that was in the shape of a Circus Tent. I recently bought a Cricut Explore and I found a circus tent bi-fold card. Unfortunately, there is still a learning curve for me with my Cricut Explore. I did not have the scoring stylus and did not realize that without the scoring tool the Cricut would cut the score lines instead of leaving them alone. So I had to paper piece the inside of the card to get it to fold up instead of having three separate pieces. I now have the scoring stylus on order. Mission accomplished and here is my card. The card closed up with stamped designs on the front. First fold opened with the stamped sentiments. Card totally open with plenty of room for a thank you note inside. Next up on the blog hop is Hetty Sanders our talented friend from the Netherlands. 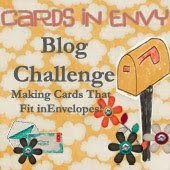 If you would like to start at the beginning of the blog hop go HERE to the Club Scrap Blog. Great digi layout and really cool card. Oh gosh, Donna your card is wonderful and the digital layout is super! Donna,I love that digital lay out. Your fold out card is wonderful too.,outside and in! Very nice! I especially like the layering of elements on your digi page. So creative! Your lo is great - specially the sentiment! That big top card is awesome - love how it is a tri-fold. Fun stuff! Your card is absolutely darling! And I love the layout, too! "And we love these monkeys!" -- perfect. Such a fun layout and a fabulous card! Great joB! Love everything!! But that card is perfect. I, too, recently got the Cricut Explore, and let's just say, I haven't "explored" it much. I'm going to have to find that card template! Love the layout, too. TFS! 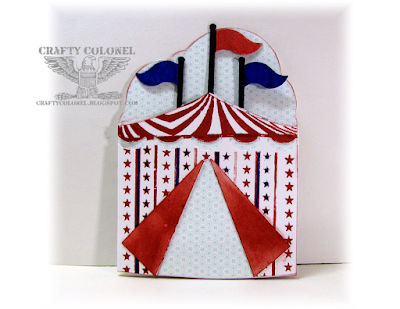 That circus tent shaped card is brilliant, so fun! Very cool card, love the detail of it all!! great card and LO! The card looks perfect, even without the stylus tool! 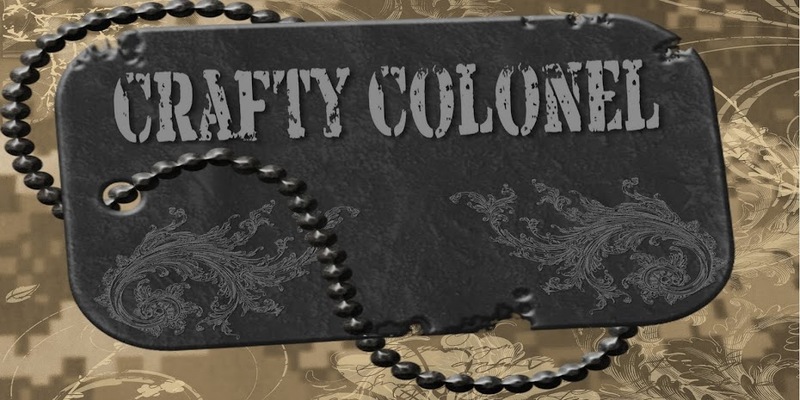 Very cool interesting card and love your layout too! Thanks for sharing your adorable projects! Great LO and what an amazing card!! And about the Explore, if you click on the "layers" tab on the right side of the screen, you'll see a little picture of the image and the action (cut, score write). You should be able to disable the score actions by clicking on the "eye". There is a bit of a learning curve, but I stumbled across that one : D.
Great scrapbook page and photos of your family. And how fab is the circus card! Never seen one of those before and its brilliant. I never thought of using that quote for nieces and nephews, genius! very cool layout and card! Thank you so much for your comments. I read and enjoy all of them. After 34+ years of military service it was time to turn in my combat boots and take up some fun projects. 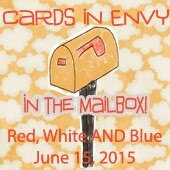 I paint watercolors, scrapbook (both traditional and digital) and make cards. 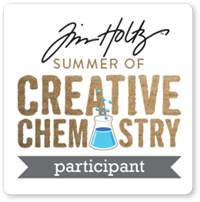 It is all fun and I am enjoying the freedom and creativity. I have been married for 34 years to my soul mate and we have one daughter. We have rescued 9 Weimeraners over our 30+ years of marriage (usually just two at a time). Now we have one 16 year old Weimeraner left.